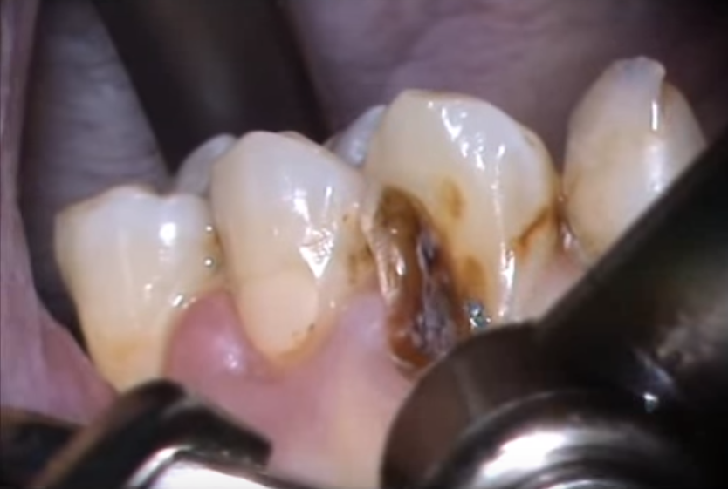 Tooth decay is the process that results in a cavity (dental caries). It occurs when bacteria in your mouth make acids that eat away at a tooth, if not treated, tooth decay can cause pain, infection, and tooth loss. Roast and grind the seeds and apply the resulting powder to dental caries. Place a few drops of the juice of the root-bark in the cavity. Apply the crushed roots over the teeth. Prepare a paste from 3 to 4 crushed garlic cloves and 1/4 teaspoon of rock salt. Apply it on the infected tooth. Leave it on for 10 minutes before rinsing with a mouthwash. Do this twice daily for a few weeks to reduce cavities. You can also rub garlic oil on the affected tooth to get quick relief from pain due to a cavity. Eating raw garlic regularly can also provide effective results. Apply some turmeric powder on the affected teeth. Leave it on for a few minutes and then rinse well with warm water. Another option is to mix 1/2 teaspoon of turmeric powder with a little mustard oil and use it to massage your teeth and gums. Leave it on for 10 minutes and then spit it out. The natural antibacterial properties in wheat-grass help fight tooth decay and cavities as well as reduce the pain resulting from cavities. Plus, wheat-grass is a highly concentrated source of vitamins A and E along with minerals like iron, calcium, and magnesium, which are essential for healthy and strong teeth. Simply grate some nutmeg and mix it with a little clove oil or oregano oil. Apply it on the affected teeth, let it sit for 10 minutes and then rinse your mouth with warm water. Repeat this remedy at least 3 or 4 times a day. You can also apply nutmeg oil directly on your teeth using cotton swabs.